A single vineyard Plavac from the position of Smrčeva vala on the Island of Brač. The wine, in any case, must be decanted so that ‘all of world’s evils can come out of the bottle’, and only the good can remain, but some patience is needed for that. This Plavac is sure to pleasantly surprise even the most experienced tasters, unless you prefer quickies! Slight poking of the nostrils is a consequence of evaporation, and not alcohol. The wine is distinctly dry, strong bodied with the remaining tannins ‘smoothed out’ (14 % alcohol) with preserved fresh acidity. An excellent example of Plavac and another proof of that romantic saying that regions (wines) are people and people are regions (wines), that, fortunately, sometimes is not true! 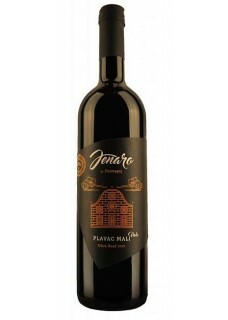 Technological data: selective Plavac Mali vintage in the position of Smrčeva vala with optimal grape yield, vinification in wooden barrels, aging in barrels made of Slavonian and American oak for a minimum period of 24 months and another 12 months in bottles.